Every now and then, we hear about an extraordinary and inspirational historical figure, whose life story was hitherto unknown to us, and who completely changes our perception of the past. Ignatius Sancho, an 18th-century composer, writer, and the first Black Briton to vote in a British election, was precisely such a figure. Yet, regrettably, despite Sancho’s historical significance and many accomplishments, he is largely unknown today. 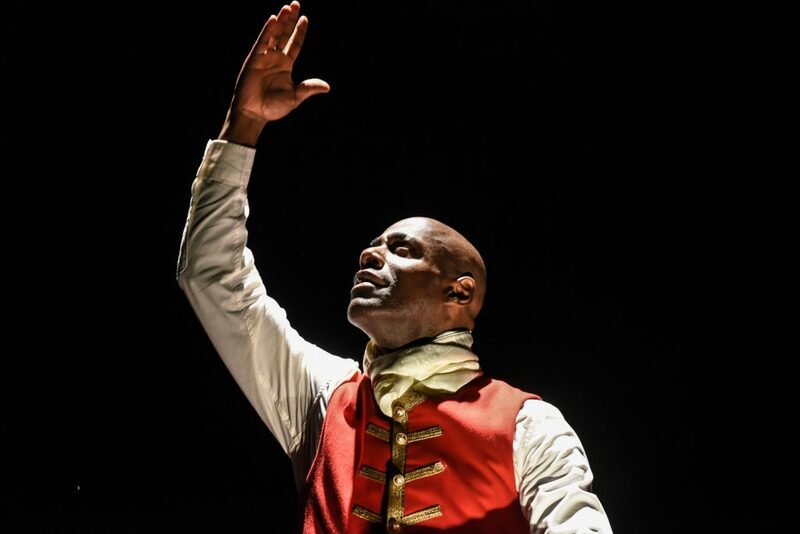 Fortunately, British actor Paterson Joseph has set out to rectify this by penning, directing and starring in a play devoted to Sancho’s fascinating life. Born into slavery, Ignatius was orphaned at the age of two, and sent to work as a servant in England. There, his exceptional intellect drew the attention of the 2nd Duke of Montagu, who lent him books and encouraged him to study. Although Sancho joined the Montagu household as a butler, he quickly outgrew the boundaries of his occupation, rising to become a famed composer, who was readily welcomed in London art circles. 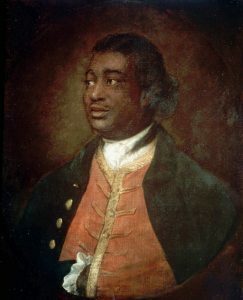 In 1768, portraitist Thomas Gainsborough, renowned for his depictions of noble folk and royalty, immortalized Sancho’s charismatic presence in a painting, thus cementing the Afro Briton’s reputation of a trailblazing luminary. In the late Seventies my generation of young black peers grew up with the notion that we were the first manifestation of black British youth that had ever been seen on these islands. The majority of our parents, most of whom had arrived in the UK from Africa and the Caribbean islands in the Fifties and Sixties, knew no different it seemed. We were to a great extent a people without a British history. He struck me as a true British model of survival without overt heroism, and indefatigability without bitterness. A true Afro-Brit some two hundred and twenty years before The Empire Windrush set sail for Britain. The play Sancho: An Act of Remembrance completed its US tour to great critical acclaim last month, and will open at London’s Wilton’s Music Hall on 4th June, with performances until 17th June. For more information, visit the play’s official website. If you’d like to find out more about Ignatius Sancho, you can take a look at his comprehensive biography or read his extraordinary letters.